Transform a residential city block on a regularly occurring schedule into a car-free space for children, families and neighbors to come together and get active! 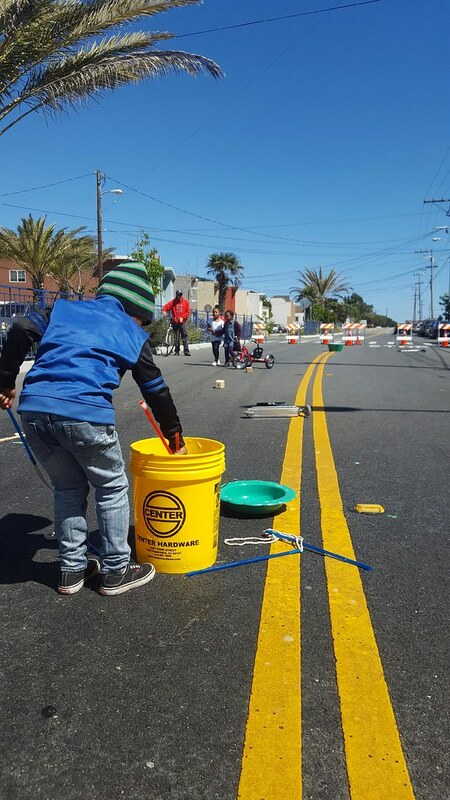 Play Streets offers a simple way for communities to get the equipment and training they need to safely operate their own street closures to promote active play, with a focus on walking, biking, and community-building. From card games to dance classes to activities like gardening, Play Streets opens up a residential block for the whole community to enjoy. 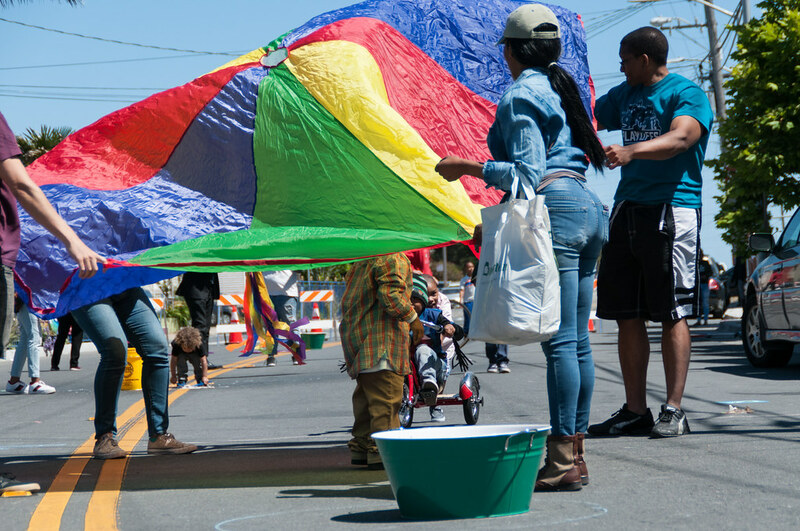 Play Streets is run by the nonprofit Livable City in coordination with the San Francisco Municipal Transportation Agency, Planning Department and Department of Public Health. The program was launched in 2017 as a two-year pilot program with the intent of making this a permanent program in San Francisco. Please check back for 2019 dates! Complete the 15-minute Play Streets Bootcamp Questionnaire, which will be sent to you after your registration is confirmed. Play in the streets with your neighbors! 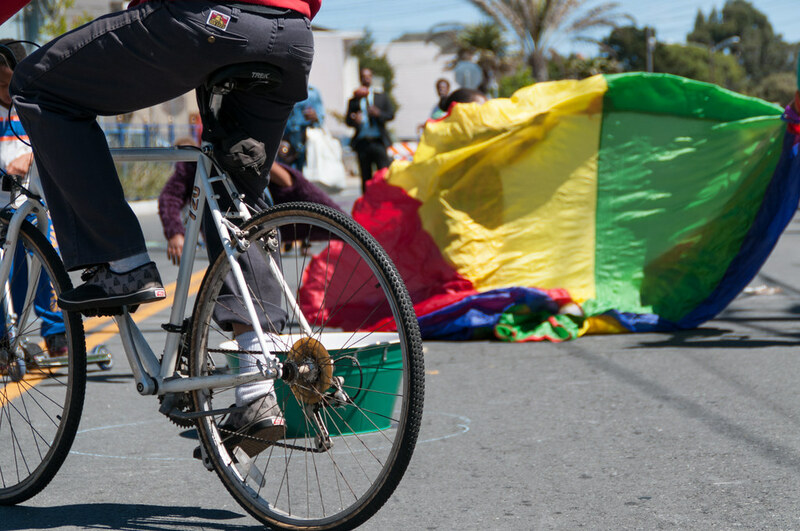 Each Play Streets Organizing Team completes a two year cycle to make open streets a reality for their neighbors year round. 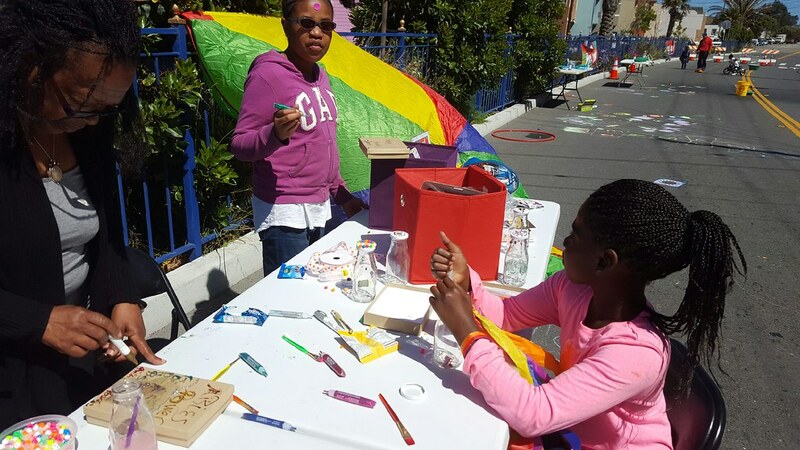 First Cycle: Residents and community based organization form an Organizing Team to complete a mandatory no-cost Play Streets Bootcamp, where they prepare their application materials with assistance from Livable City. 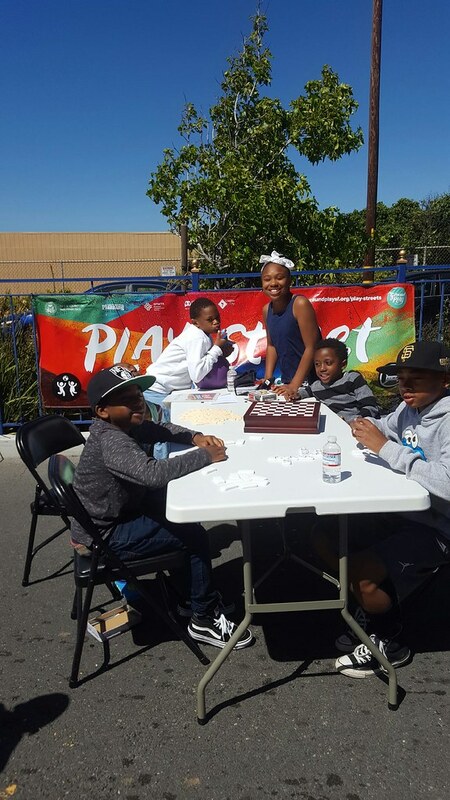 Then they host their first Play Streets Series consisting of 3-6 sessions. Second Cycle: Returning organizing teams host an extended Play Streets Series with at least 10 sessions and organize with their neighbors to get a Kit of Parts and coordinate an action plan for the following years' Play Streets Series. Kids are a great resource for Play Streets ideas – ask the children in your neighborhood about what activities sound fun to them! 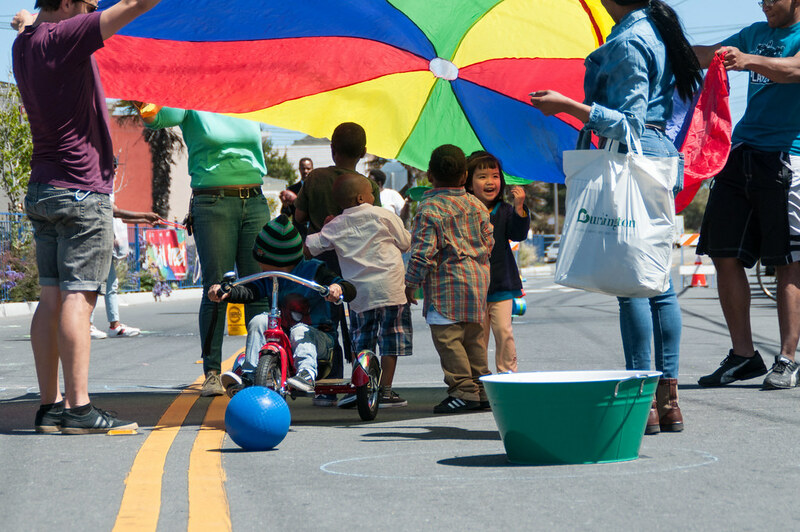 Can I organize a one-time Play Streets? Play Streets sessions are always part of a recurring series that occur more than once on a regular schedule. For instance, a Play Streets series may take place on the first Saturday of the month, or the third Friday afternoon. Planning a one-time street closure? Apply here through the SFMTA. How many Play Streets are in a series? 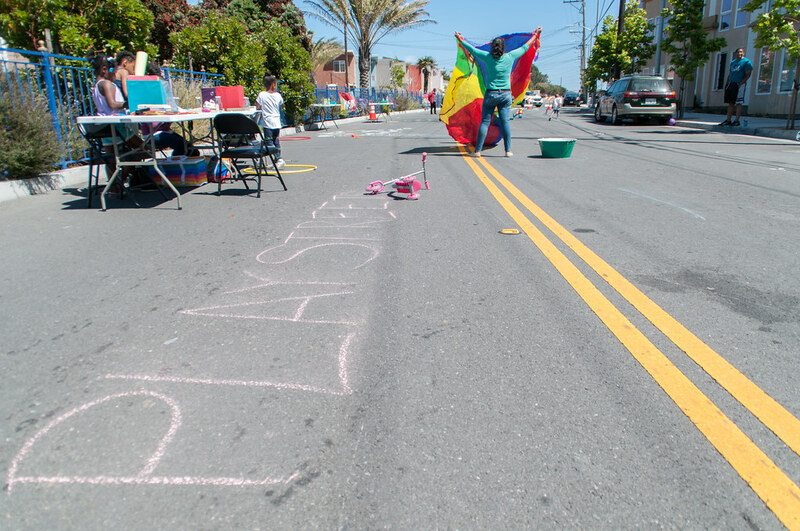 A Play Streets series consists of at least three recurring sessions. Why does Play Streets occur in a series? 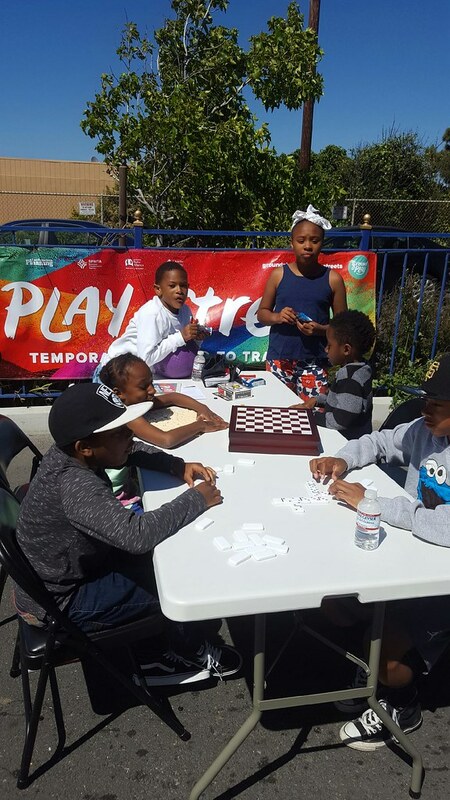 Unlike a one-time event, a Play Streets Series provides a reliable structure for a community space residents can anticipate and plan for. Having a regular session is especially important in neighborhoods that lack open space or recreational opportunities. 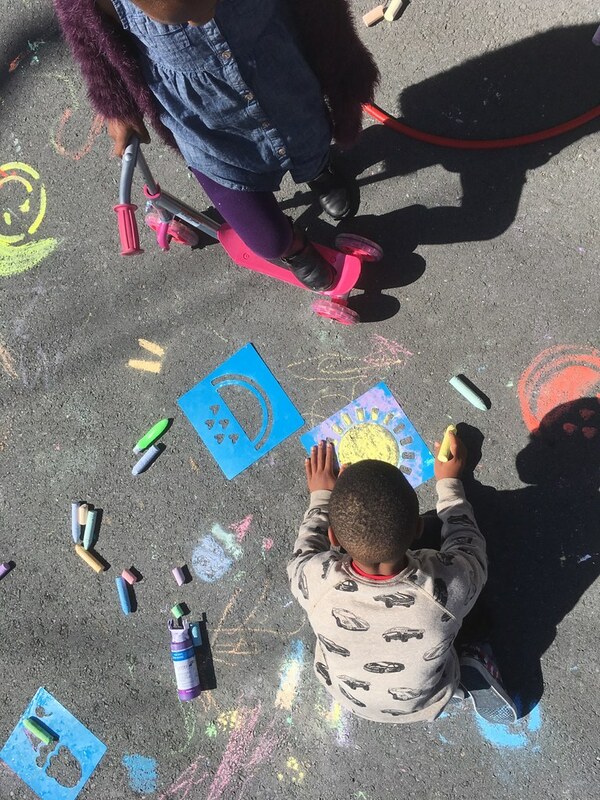 With three or more regular sessions, residents become more familiar with Play Streets and are more likely to join in and help, while children quickly catch onto the schedule. 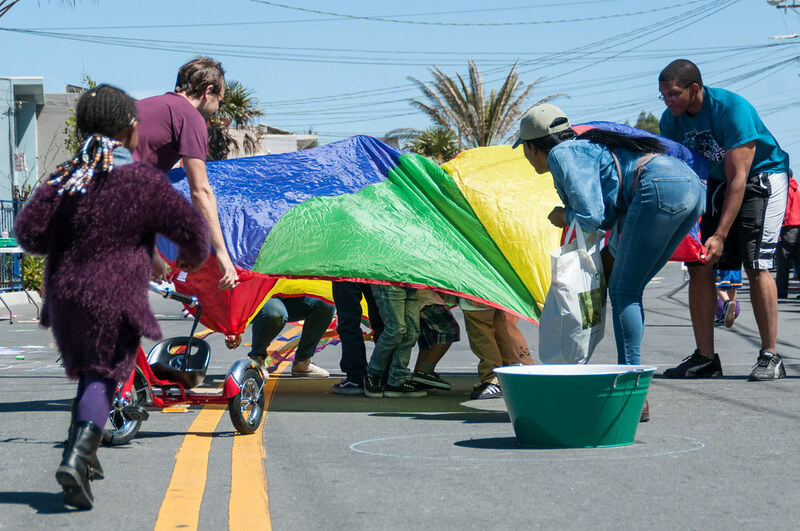 The need to play and connect with neighbors and community is ongoing - so Play Streets is too! Where are Play Streets located? Play Streets are located on neighborhood residential streets. 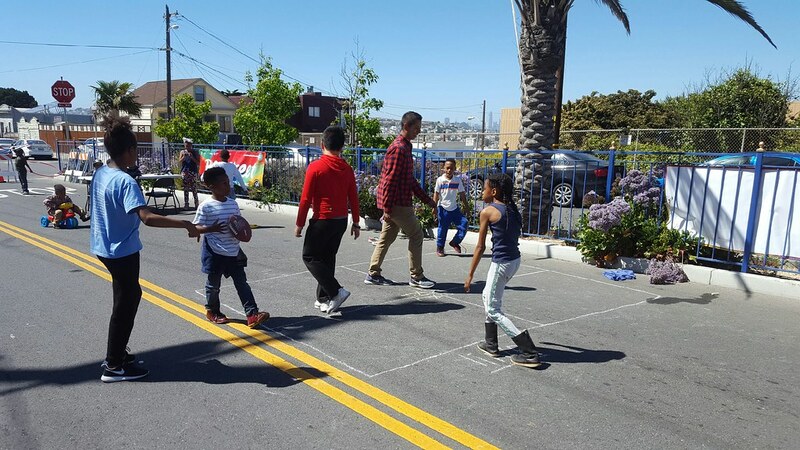 Play Streets are one block in length and may not be on a Muni route, a street with commercial establishments, and cannot include an adjacent intersection. 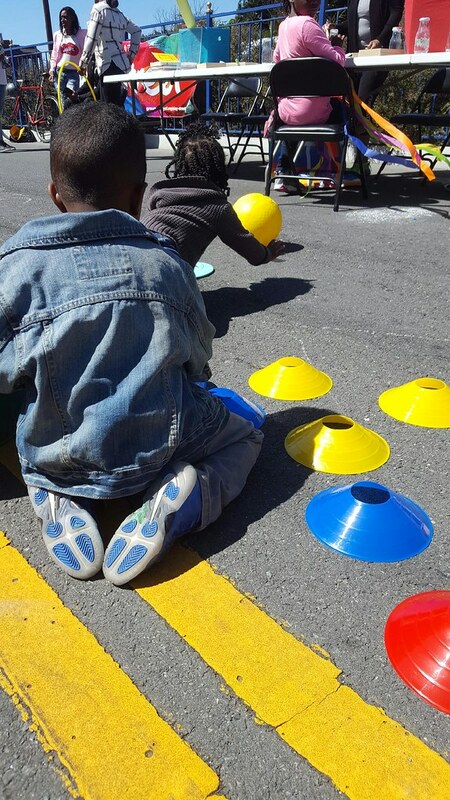 Play Streets events require restricting blocks to thru traffic, but local access is allowed. How long is a Play Streets session? Play Streets sessions are a minimum of 3 hours in length. What neighborhoods qualify for the Community Assistance Program?